The subject of the time machine has been a popular theme in science fiction. A common plot describes how someone discovers a way to go back in time to change the outcome of history. Another version of this plot describes how someone discovers a way to see into the future and tries to warn people about some tragic event ahead. Typically, as the story unfolds, few people believe the person's warnings and only a few people are prepared for what is to come. The world we live in is a very uncertain place. As people look to the future their fears and concerns only deepen as they worry about what will happen and wonder how things will turn out. Years ago, when John Wooden was coaching the UCLA college basketball team, I became an avid fan. One evening I sat down in front of my television to watch a game between UCLA and a conference rival. The game was close, and as it neared the end the outcome was uncertain. Fans at the stadium were screaming with excitement, tension was everywhere, and nerves were on edge as the game reached the final minute. Yet, in the midst of all that tension, I sat in my living room, cool, calm, and collected. Even through the drama was high, I remained unfazed. How could this be possible? My reason was simple. The game I was watching was a late-night replay. I already knew the final score, and that UCLA had won. As a believer in Jesus Christ your future outlook is an upward look. You have a hope and a future that is glorious. The Word of God has already declared to you what the future will be and how things will turn out in the end. You can live today in calmness of soul and peace of heart because the final outcome has already been determined by God. You are on the winning side. Jesus Christ will come for you with a shout, with the voice of the archangel, and with the trumpet of God. He will come triumphant, in power, and full of glory. He will establish His reign upon this earth and rule with a scepter of righteousness. 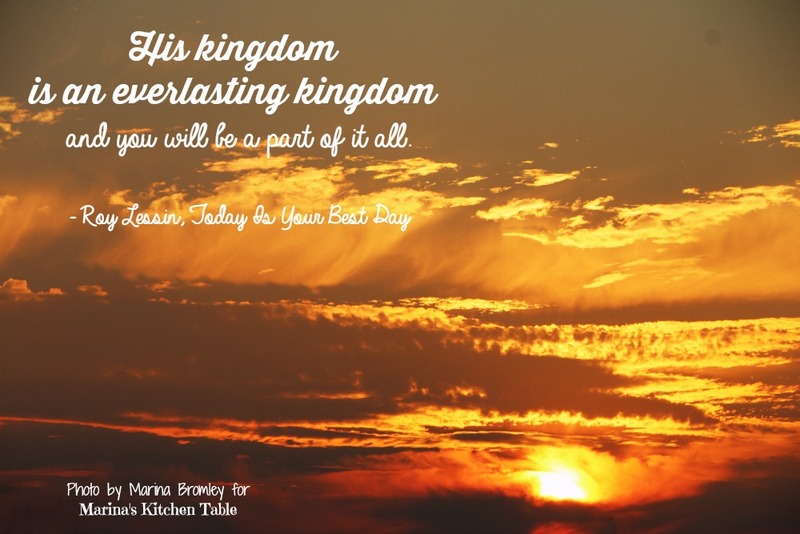 His kingdom is an everlasting kingdom and you will be a part of it all.